For our 10th Anniversary, we endeavor to showcase the best in documentary filmmaking, with an emphasis on projects that celebrate the human spirit. In keeping with our Topanga roots, we're proud to feature films that inspire cultural, environmental or social awareness with a strong artistic point of view. Click on images for movie trailers. What would you do to share your passion and vision with the world? OFF THE FLOOR is a feature length documentary about the emerging art of contemporary pole dance and how it has evolved from its origins in strip-clubs into a movement of feminine empowerment and self-expression. Through the personal journey of one dancer and her visionary dance company, the film explores what it takes to share your artistic vision with the world and bring your dreams to life. Watch as UCLA WAC alumni, Jessica Anderson-Gwin, forms the first ever contemporary Pole Dance company, Jagged, pioneering a new dance genre. Filmmaker in person for Q&A! A young evangelical filmmaker is granted unprecedented access inside a controversial Christian behavior modification program for teens, where she discovers shocking secrets and young students that change her life. Following The Ninth: In The Footsteps of Beethoven’s Final Symphony, is a documentary film taking us on a cinematic journey across five continents and into the heart and soul of one of the world’s greatest works of art. Completely deaf and adrift from the people he loved, Ludwig van Beethoven composed his Ninth Symphony as an act of transcendence near the end of his life, in 1824. Looking into his own abyss, Beethoven wrote his Ode to Joy for himself, for the people of his day, and for all generations to come. Today, Beethoven’s Ninth Symphony resonates still as the international anthem of hope. The Ninth buoyed the protesters in Tiananmen Square, provided solace to those struggling for freedom in Pinochet’s Chile, and continues to fill seats in symphony halls and karaoke bars from London to Tokyo and Cape Town. Following The Ninth captures the power and beauty of Beethoven’s grand and world-transforming achievement, touching the lives of people around the world for nearly 200 years. Everybody Street illuminates the lives and work of New York's iconic street photographers and the incomparable city that has inspired them for decades. 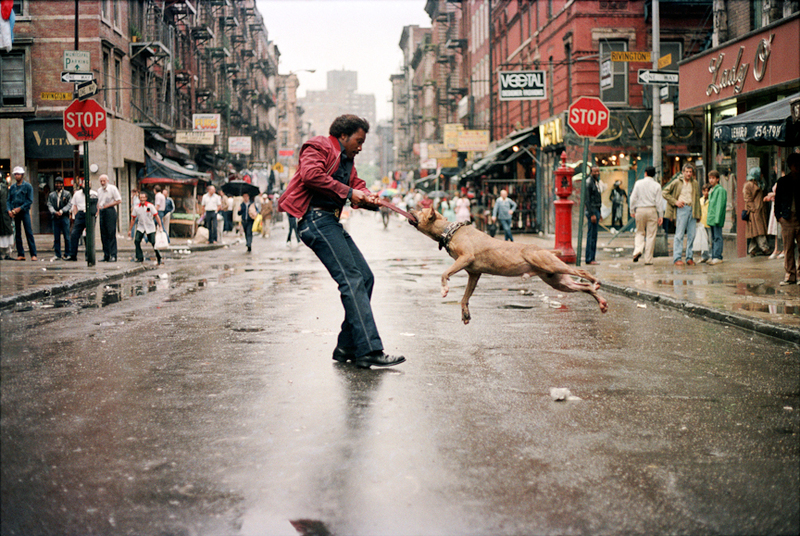 The documentary pays tribute to the spirit of street photography through a cinematic exploration of New York City, and captures the visceral rush, singular perseverance and at times immediate danger customary to these artists. Not in competition. Today in the United States, by the simple acts of feeding ourselves, we are unwittingly participating in the largest experiment ever conducted on human beings. Each of us unknowingly consumes genetically engineered food on a daily basis. The risks and effects to our health and the environment are largely unknown. Yet more and more studies are being conducted around the world, which only provide even more reason for concern. We are the oblivious guinea pigs for wide-scale experimentation of modern biotechnology. GMO OMG tells the story of a fathers discovery of GMOs in relationship to his 3 young children and the world around him. We still have time to heal the planet, feed the world, and live sustainably. But we have to start now! Not in competition. Two years ago, music icon, Glen Campbell, was diagnosed with Alzheimer's disease and told to hang up his guitar and prepare for the inevitable. Instead, Glen and his wife, Kim, went public with the diagnosis and announced that he and his family would set out on a Good Bye Tour. Even the optimist's predicted the tour would only last a couple of months. Not only did Glen exceed everyone expectation, but what began as a six-week tour quickly grew into a triumphant year of him playing sold out venues across America. The film documents this extraordinary journey as he and his family attempt to navigate the wildly unpredictable nature of Glen's progressing disease using love, laughter, and music as their medicine of choice. The West has positioned itself as the protagonist of the development narrative. But the results have been mixed, in some cases even catastrophic, and developing world leaders have become increasingly vocal in calling for change. Drawing on perspectives gathered from over 150 interviews shot over 4 years in 20 countries, Poverty, Inc. explores the hidden side of doing good. From disaster relief to TOMs Shoes, from adoptions to agricultural subsidies, Poverty, Inc. follows the butterfly effect of our most well-intentioned efforts and pulls back the curtain on the poverty industrial complex - the multi-billion dollar market of NGOs, multilateral agencies, and for-profit aid contractors. Are we catalyzing development or are we propagating a system in which the poor stay poor while the rich get hipper? Rocky Braat, a young man from a fractured family and a troubled past, went traveling through India without a plan. Then he met a group of HIV positive children living in an orphanage -- a meeting that changed everything for him. Rocky left his life, friends, and career in Pittsburgh, Pennsylvania to live with the kids. Steve Hoover, his best friend and filmmaker, was unsettled and intrigued by this drastic action. In an effort to find out what compelled Rocky to give up every source of stability in his life, Hoover decided to trace Rocky's story, following him to India. Blood Brother is a story of friendship. It's a story of a life, stripped down to its essence. Most of all, it is a story about love, enduring in the face of death. Filmed over 10 years, Magical Universe is an inspiring portrait of Al Carbee, an 80-something eccentric and reclusive artist who spends all his days photographing Barbie dolls. The documentary chronicles the decade-long relationship between artist and filmmaker Jeremy Workman, who became Carbee's closest friend and contact to the outside world, and culminates with Carbee's greatest triumph as an artist and a man. Directed and produced by Jeremy Workman, a Topanga native!